Topics: Completed Projects, and Current Projects. On average 8.00 pages are viewed each, by the estimated 7 daily visitors. American Registry For Internet Numbers (Virginia, Chantilly) is the location of the Apache server. 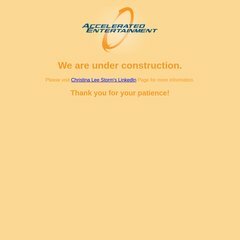 Acceleratedent.com's IP address is 69.89.31.65. Its 2 nameservers are ns2.bluehost.com, and ns1.bluehost.com.